Sustaining payments for a number of regional Bank of America Challenge races are due April 1. AMARILLO, TX—MARCH 20, 2019—Sustaining and late-payments for a number Bank of America Challenge regional races are due Monday April 1. 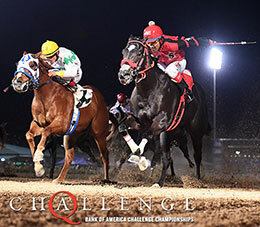 Challenge enrolled 2-year-oldsare eligible to nominate for the John Deere Juvenile Challenge regionals. Trials and finals will be contested over 350 yards.